As an avid gamer, you deserve to have the smoothest experience possible when gaming. With a decent budget, that’s certainly possible, especially if you build your own PC. But where do you even start? How do you sift through all the possible parts and pick the best ones? Here’s a guide for the best gaming PC under 2000 USD, so you don’t have to do the painstaking research and can get to gaming faster. With a generous budget of $2000, you can expect to see impressive in-game performance. This PC will be capable of handling many of your demands. You’ll definitely get your money’s worth when it comes to 4K gaming. For the majority of titles, you’ll get at least 60 FPS in 4K, so you won’t have to turn down the graphics too much, if at all. This makes 4K gaming extremely viable on your PC. When you game on this computer, you can fully enjoy what every game has to offer, with little compromise. The great thing about this PC setup is it’s fully capable of and ready for streaming and VR. Whether you want to stream for your friends or a large audience, you shouldn’t have a problem doing either. While other streamers have to turn down their graphics settings in order to both run their games and stream at the same time, you probably won’t have to. The components found in this build make VR a possibility, which is great if you’ve been dying to get your hands on an Oculus. The CPU and graphics card will make it a seamless and immersive experience. Yes, this is the best gaming PC under 2000 USD, but there’s always room for improvement in the future, especially since technology is constantly progressing in leaps and bounds. This gaming setup can easily last you a decade, but you might want to make some changes along the way. With this rig, you’ll have the flexibility to upgrade your RAM. You can even swap out the graphics card, but you probably won’t have to for a long time since the recommended one is killer. 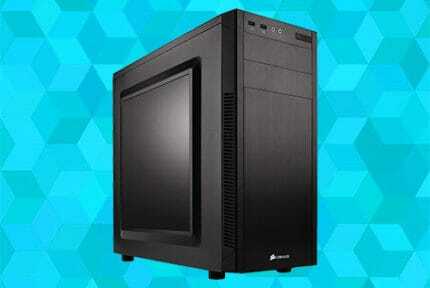 Should you run out of storage space, the recommended case also has room for an extra hard drive. The thing is, you won’t be permanently stuck with what you’ve got. So if you’re afraid of committing because of that, rest easy knowing you have some wiggle room. 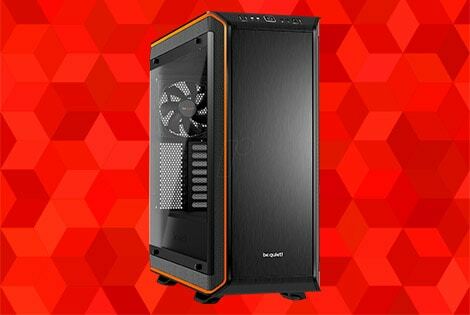 If $2000 is a lot for you and you want to save some money, here’s our guide on the best $1500 gaming PC! Here’s what you’ve been waiting for: the actual components for this $2000 gaming PC build. These parts will create a monster of a gaming rig! This 9th-generation CPU is one of the best on the market. 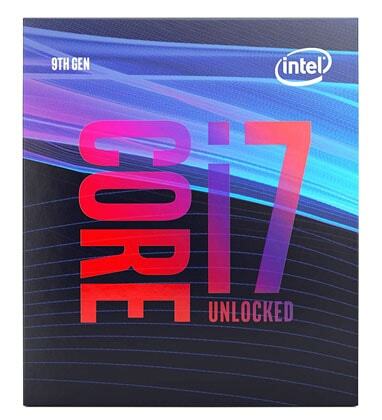 It has great overall performance and is less expensive than the i9-9900K. While the i9-9900K is more powerful, the i7-9700K already has more than enough muscle for gaming. Gaming requires powerful CPUs, but the i9-9900K might be overkill. So you have plenty to work with when you choose the i7-9700K. Plus, the FPS you get with the i9-9900K is barely better than with the i7-9700K. So when you compare the two, you get more bang for the buck with the i7-9700K. Besides, you want to save your budget for what really matters – the graphics card. This CPU is so powerful you won’t even need to overclock to run your games on your ultra – but if you want to, you can. In fact, the Intel K-series is specially designed for overclocking. It gives you higher clock speeds, which result in better in-game performance. Thanks to the recommended fan and case, you’ll have enough airflow to overclock your PC moderately. This CPU is also great for other applications like video editing and music production. 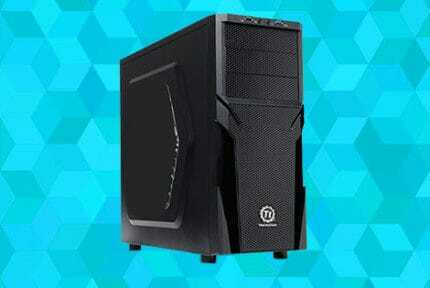 So if you’re into those things, this gaming PC can also double as a great workstation. Noctua is seen as one of the best cooler companies, so you can’t go wrong with choosing this brand. 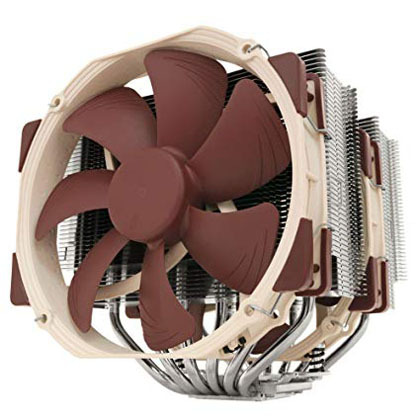 The Noctua NH-D15 provides some of the best cooling you can get without having to resort to liquid cooling. While liquid has better cooling performance than a fan does, it’s more expensive. Not to mention it’s also riskier since any little bit of leakage can ruin your entire gaming rig. With the Noctua NH-D15, not only do you save money, but you also lessen your chances to practically zero of your setup getting ruined by the cooling system. While you can’t overclock as much with fans as you can with liquid, they’ll still allow you to overclock your CPU to a reasonable level. When you weigh the benefits and risks of each type of cooling, fans come out on top, seeing as you can still get decent performance without risk to your PC. About one-third of your budget will go towards this graphics card, but it’s so worth it! 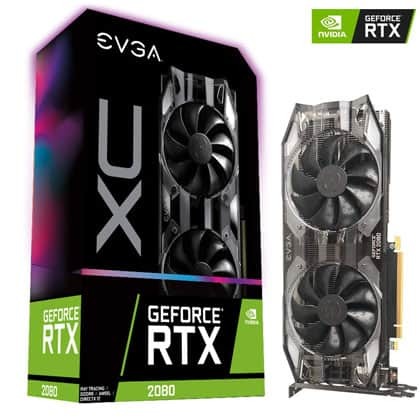 This RTX graphics card is one of the best on the market. It can run the latest games on ultra high settings without compromising on FPS, which is pretty impressive. EVGA also created the first-ever hydrodynamic bearing VGA fans, which makes a significant difference to the noise produced. Not only are the fans quieter (even at max settings), but they also have a longer lifespan, ensuring you get what you paid for. The Corsair Vengeance LPX is a fast, high-performance RAM that’s very reasonably priced. It has also been popular with gamers for years. Why? Because it’s reliable. This RAM not only provides fast performance but also years of consistency. You won’t have to worry about it failing, which means less chance of replacement costs and troubles down the line. If you don’t want to spend that much cash now but plan on upgrading your RAM in the future, you can with this build. You can buy the same GPU at a later date and upgrade to 32GB of RAM; this should be more than enough RAM for a gaming PC. 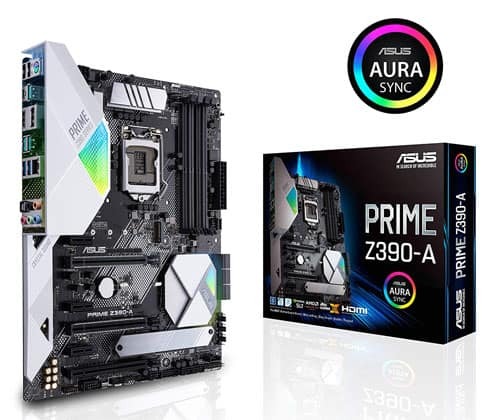 The ASUS Prime Z390-A motherboard is an excellent choice for your gaming PC. It has good overclocking capabilities in the BIOS and an overclocking wizard that simplifies the process. As mentioned in the RAM section, this PC setup gives you lots of flexibility. The ASUS Prime motherboard has four RAM slots, which means you can always upgrade your RAM later on if you so wish. But with 16GB of RAM available, that should be plenty for gaming already. If you’re someone who’s always running out of USB ports, this is the ideal motherboard for you. It has eight USB ports available: three USB 3.1 Gen2 Type-A ports, one USB 3.1 Type-C port, two USB 3.0 Type-A ports, and two USB 2.0 ports. With eight ports available, there will be little frustration whenever you need to plug something in. And if you ever manage to run out of free ports, you can make use of the USB passthrough on the recommended keyboard. For those who enjoy lighting aesthetics, this motherboard has RGB lighting that oscillates in a relaxing manner. If you sleep your PC, it can also add some ambiance to a dark room. 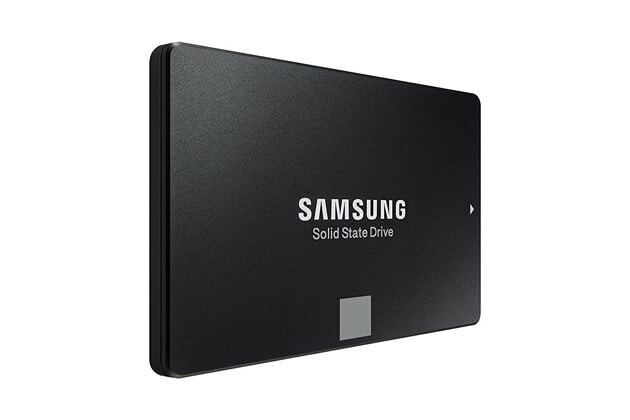 The Samsung 860 EVO’s 500GB of storage space is a good starting point when you first put together your PC. Are you an impatient gamer? This will definitely satisfy your need for speed! This SSD is known for its fast boot up times, as well as insanely quick loading times for games stored on it. You probably won’t get a chance to read loading screen tips because games will load up that quickly for you. With sequential read speeds of up to 550 MB per second, you’ll enjoy lightning speed installs and enhanced performance at a very reasonable price. Toshiba’s a huge name in the electronics industry, so you can only expect positive things when it comes to their HDDs. You’ll get high performance from the P300, with 7200 RPM and a built-in 64 MB cache. 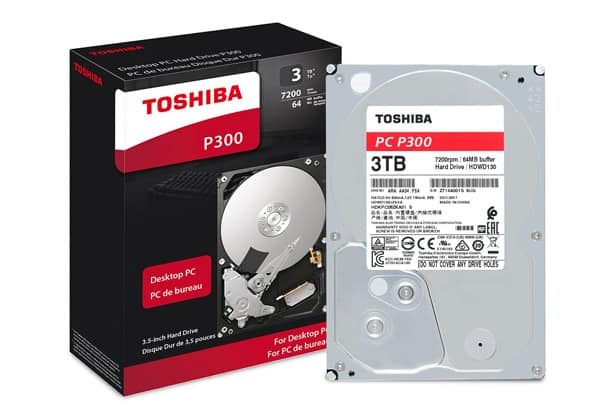 While other lesser-known manufacturers produce hard drives that eventually fail, you probably won’t have to worry about that if you choose Toshiba. Their good reputation precedes them, so they’ve taken careful steps not to tarnish that reputation. If you’re used to having to delete games off storage in order to install new ones, those days are long gone. Because you have 3TB to utilize, you’ll have plenty of storage space. You’ll enjoy a range of video games at your fingertips without having to juggle them around on your SSD. 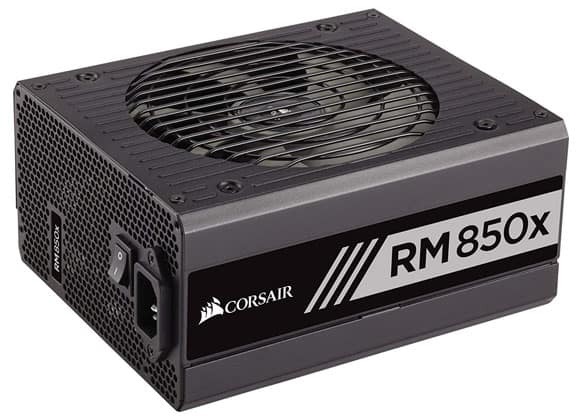 There may be cheaper options for power supplies, but the higher price of this Corsair PSU buys you security. When you buy cheaper PSUs, there is the risk of them damaging your PC’s components. But this Corsair PSU features 105°C-rated Japanese capacitors, which you can always count on for not only power but also reliability. You also get good cable management with this power supply. It has a modular design, so the only wires coming out of it are the ones you actually need. Say goodbye to annoying extra wires taking up space inside your PC. This PSU has more than enough power for this PC build, so it’s future-proof. Should you decide to upgrade your system at any point in the future, there’ll be little problems, if any. The power supply can handle almost anything you could throw at it. 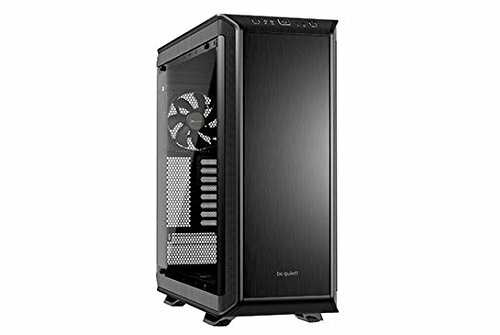 This full tower case is massive, so if you don’t have much room to work with, you might want to go with something smaller, like the Fractal Design Focus G. The Focus G also comes at a fraction of the cost of a Dark Base Pro 900, so if you want to cut down on costs, this may be an area to do it in. Otherwise, this case is pretty fantastic. Because of its generous size, it’s easy to work with when you’re building your PC. This is where the Focus G’s compactness would be a disadvantage since you’ll have to Tetris in all the components and cables. If it’s your first PC build and you’re ok with the price, you should go with the Dark Base Pro 900. It’ll be easier to get all the components in and manage your cables. Plus, the case is modular, so you can use it in any future builds without worrying about compatibility. This also means you probably won’t have to buy another case for your next build. So the money you spend now will be money saved in the future. You may have some peripherals already since this PC isn’t your first. Or maybe you had a laptop before, so you don’t have an existing monitor, mouse, and keyboard. Whether they’re a necessity or you just want to make this your ultimate gaming PC, here are some peripherals that go well with this PC build. When it comes to operating systems for gaming, Windows always wins out. Especially since you’re running a $2000 gaming PC. When you use Linux or macOS, the majority of games aren’t compatible with nor are they optimized for these operating systems. 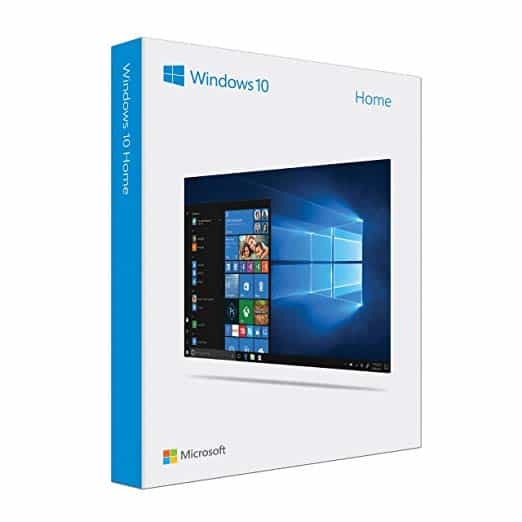 This means that in order to play your favorite games, you’ll need to make a hard drive partition and emulate Windows first. Avoid having to go through the troubles of partitioning and just pick Windows from the start. Your gaming PC has one of the best video cards available, so do it justice by getting an appropriate monitor. Screen tearing, display stutter, and input lag won’t be things to worry about. By synchronizing the refresh rates between the GPU and display, the G-Sync technology on this monitor will give you the smoothest gameplay you’ve ever seen. 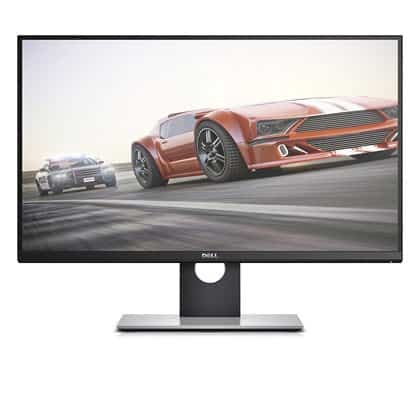 This Dell monitor also has a super fast response time of 1 ms. This means the pixels can change colors quickly without streaking, blurring, or ghosting. Both intense gameplay and vibrant cutscenes will look amazing. The refresh rate also contributes to the visual fluidity of your gaming experience. 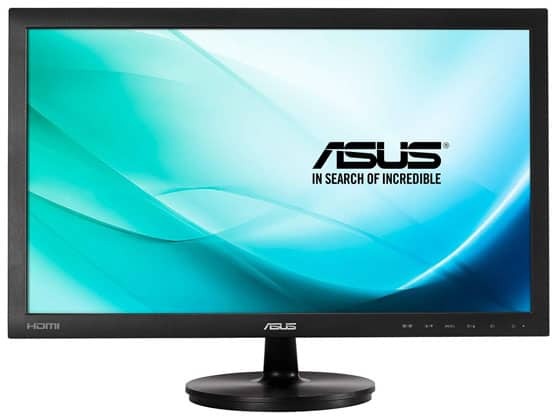 With a refresh rate of 144 Hz, you won’t ever want to go back to the standard 60 Hz. No matter how much in-game action there is, this quality monitor can always keep up. If you’ve been looking for something to give you an edge whenever you play online, this is it. 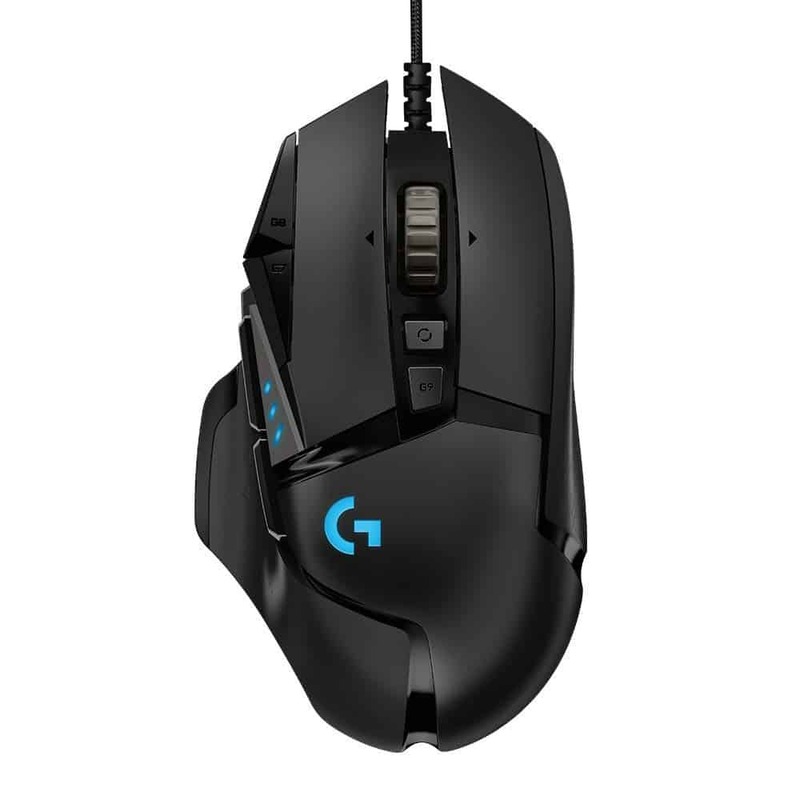 Although the Logitech G502 came out in 2013, the design is so slick that it’s still the mouse of choice for many gamers. With a maximum adjustable DPI of 16,000, you’ve got more DPI than you could ever imagine using. You’ll definitely have plenty of room to play around and figure out which DPI setting is ideal for you. The mouse itself weighs 121 g, which makes it a bit heavier (and larger) than most gaming mice. It’s ideal for people who have big hands and have trouble finding suitable mice because of that. There are five additional 3.6 g weights you can use if you prefer an even heavier feel for your mouse. If you’re a fan of key binding, you’ll be pleased to know that this mouse has 11 fully programmable buttons. By pushing these buttons, you’ll crouch, run, and switch weapons in a split second without having to think twice. On the flip side of things, this is more buttons for you to accidentally mash, so if you’re clumsy, you may not have such a great time with the Logitech G502. The HyperX Alloy Elite offers you the best in both comfort and style. This mechanical keyboard has a red backlight and switch choices of Cherry MX Blue, Brown, and Red. Because it has three initial switch choices, you have more options when compared to other gaming keyboards. You won’t be forced to make a purchase if you really like the keyboard but hate the switch. If you’re not sure what switch you’d like, you can try some keyboards out at a store to figure out which one works for you. Its other great design points include a detachable wrist rest and USB passthrough. If you find yourself wrestling with the wrist rest, you can simply take it off. With the USB passthrough, you won’t have to climb under your desk to access your USB ports only to find they’re all taken up already; all you have to do is stick the USB into your keyboard, and you’re set! For your WASD and 1234 keys, you get some fancy silver keycaps. If you like to level up your keyboard aesthetics, you can replace these keys straight away. Otherwise, you can save them and use them as spares should those vital keys get damaged or worn out. If macro columns are something important to you, you may want to sit this keyboard out, as it lacks in this department. But if affordability and great design are your main concerns, the HyperX Alloy Elite is what you want. Here are some other “nice-to-haves” if you’ve still got some cash to spend. It was mentioned earlier that this PC rig comes VR-ready, so naturally, the Oculus Rift has to be one of the other peripherals listed! It’s no doubt the best VR headset that’s on the market. Not only is it attractively priced, but it’s also very light to wear and has touch controllers included in its pricing. This makes it very economical when compared to other VR headsets like the Vive Pro. A plus point of choosing this VR headset over the others is the games library. The already expansive selection is constantly growing, so you’ll always find something of interest. Its UI is also more attractive and intuitive. If you want a standalone device, consider the Oculus Go. 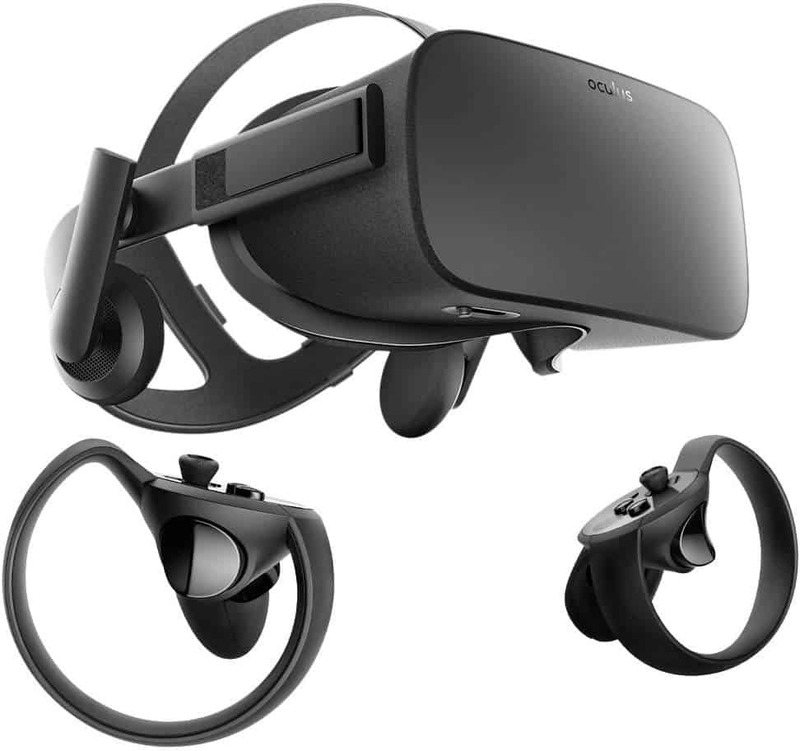 This smaller cousin of the Rift is half the price and easier to play games on since there are no wires to worry about. A second monitor can come in handy if you like to multitask. Whether you’re getting on a Skype call or looking up strategies for the video game you’re playing, having that second monitor can make a world of difference. Because it’ll be used for non-gaming purposes, you don’t need a big fancy 4K monitor. This modest 23.6-inch monitor will do just the trick, and at a very low cost. Your gaming experience isn’t complete without a solid headset. So get rid of your ratty old ones and upgrade to the Razer Nari Ultimate. This is a top-of-the-line headset that will heighten gameplay. The THX Spatial Audio will give you accurate sounds from 360 degrees, which gives you a huge advantage against other players. 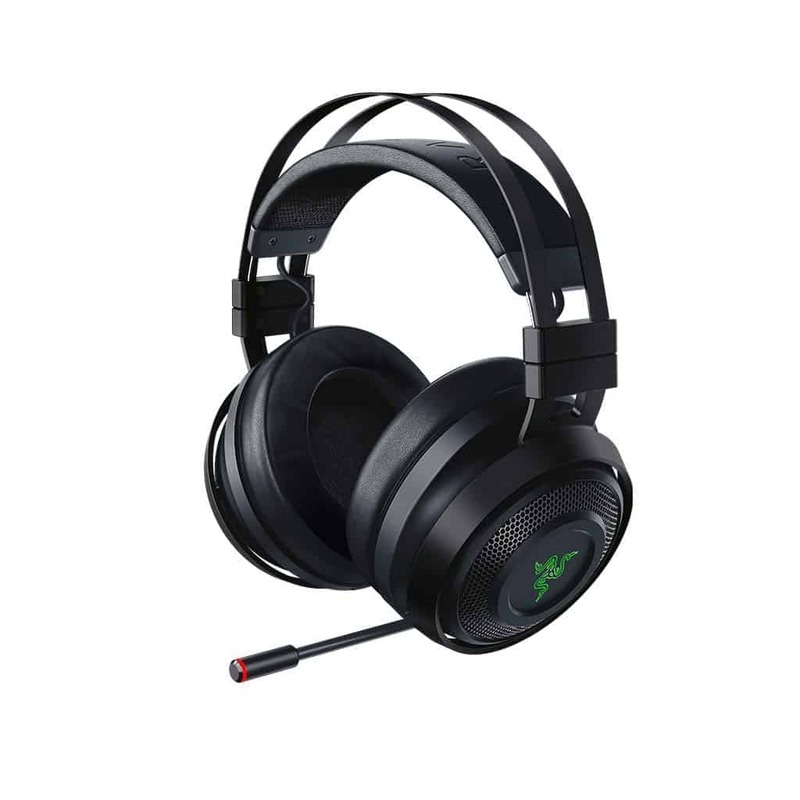 The headset is also wireless, with controls right on the headset, so you don’t have to mess around with wires. And for your comfort, there are cooling, gel-infused cushions that block out sound so you can enjoy uninterrupted gameplay. When you’re not using your headset, you’ll still want high definition sound so you can get a good feel for your gaming environment. These Logitech G560 speakers have integrated DTS:X Ultra surround sound to completely immerse you in your games. 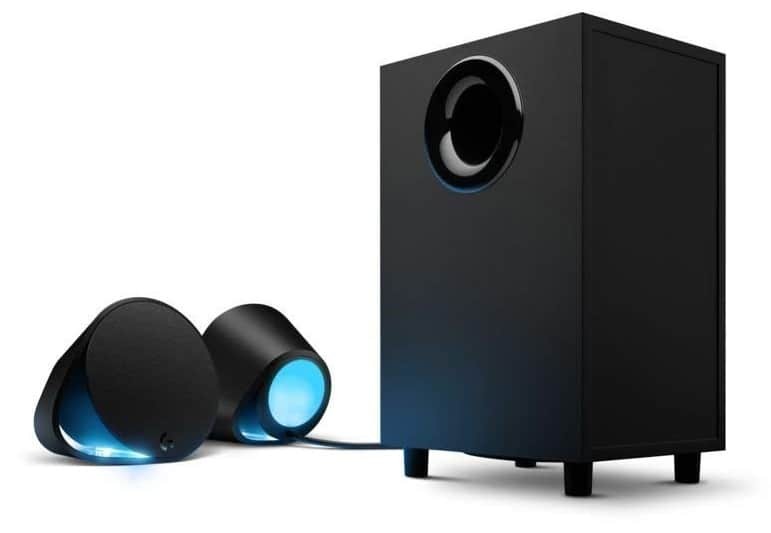 Again, if you love cool aesthetics, these speakers’ lights will rock your world. Not only do they have built-in LIGHTSYNC RGB lighting, but the lighting also responds to the audio in your games. You may not give the mouse pad much thought, but having an oversized one can make a huge difference when it comes to games that require low DPI and sensitivity settings. Because this involves a large sweeping motion, you probably find your mouse running off the pad and onto the table; this can lower your gaming performance. The Corsair MM300 Extended is made specifically to accommodate this problem. This soft cloth mouse pad is long enough that you can fit your keyboard on it as well. Plus, its anti-fray material ensures a durable, smooth surface that won’t affect your gameplay. So there you have it – the best gaming PC under 2000 USD right now. Prices for each individual component may change over time, but the overall price shouldn’t fluctuate too much. Although you can look around online to get the best deals, you may want to stick to just one website for your purchases to keep things simple. So what are you waiting for? Get to shopping and building your new gaming PC!